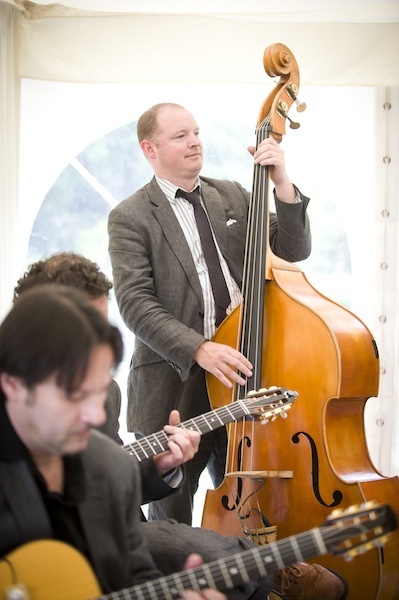 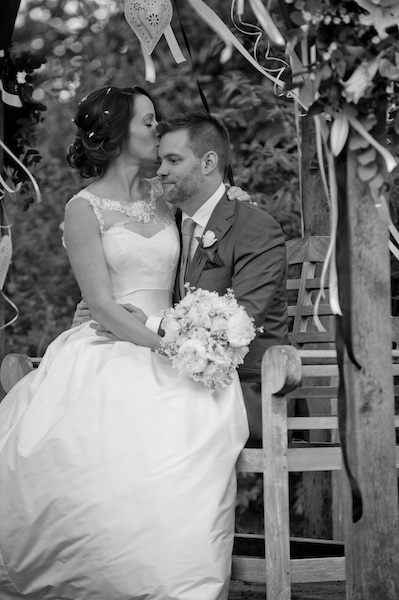 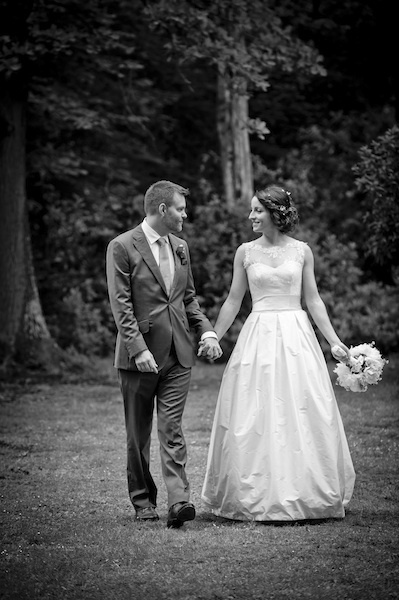 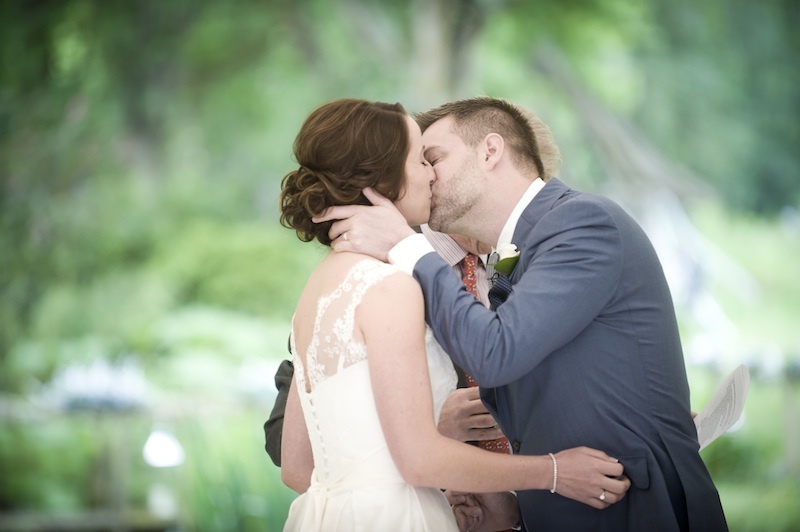 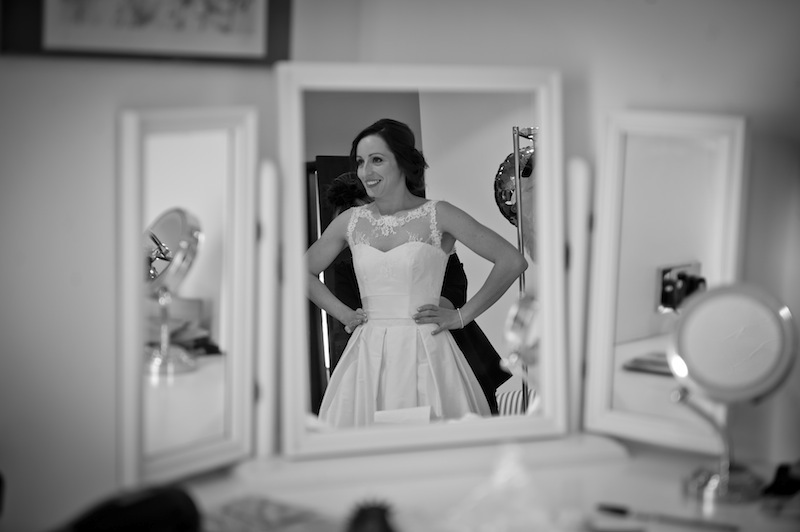 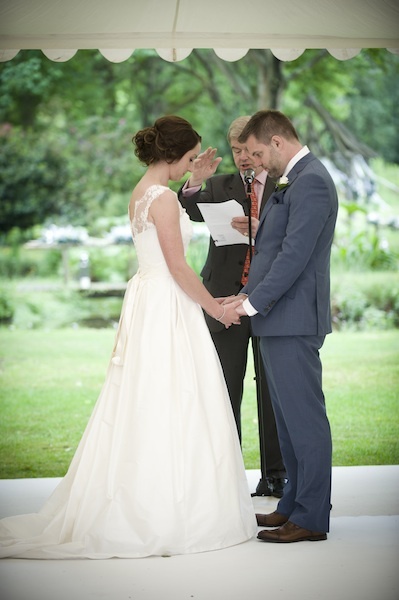 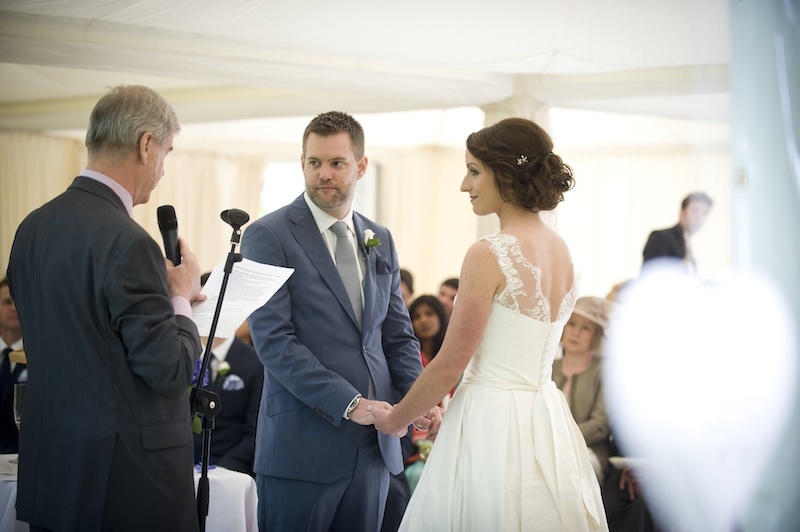 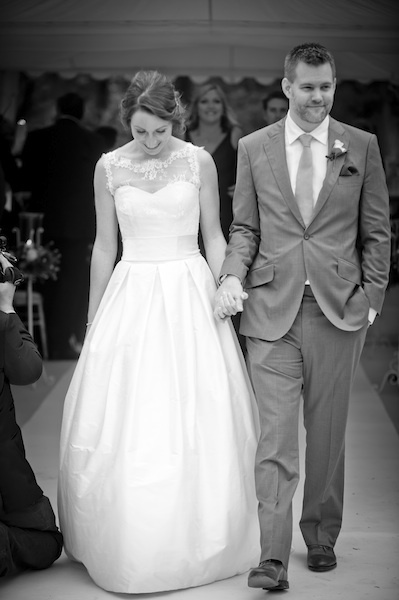 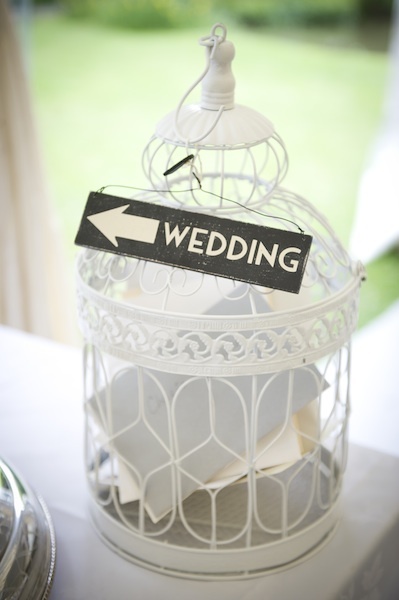 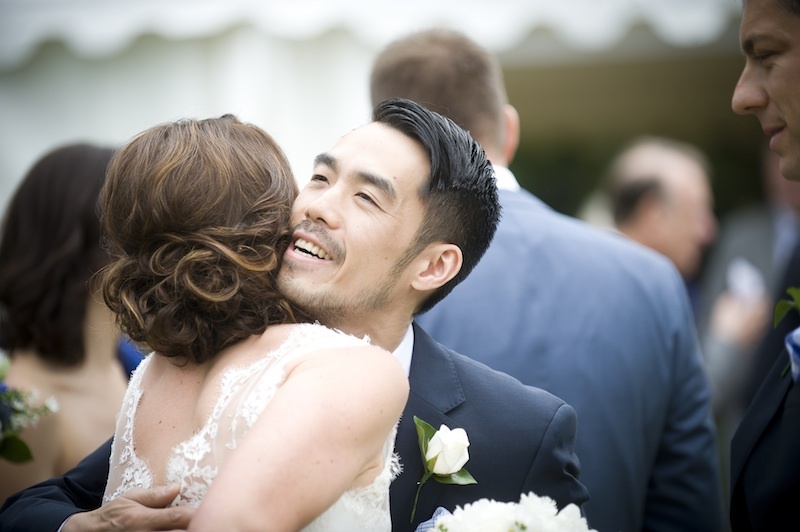 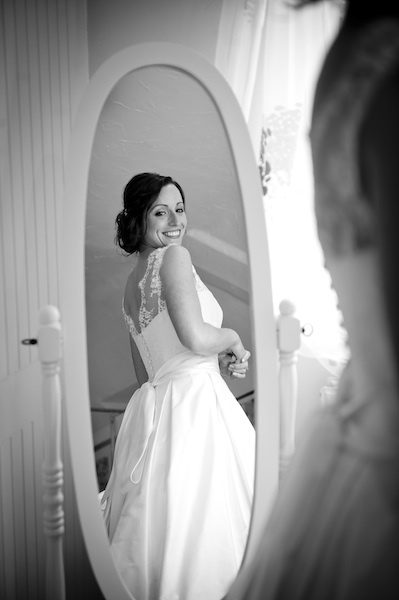 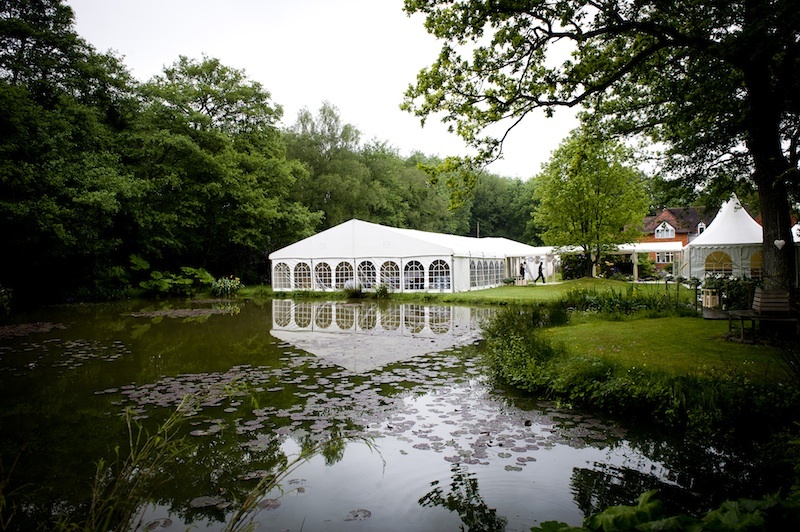 Charis and Luke had the most dreamy marquee wedding at Charis’s beautiful family home in West Sussex. 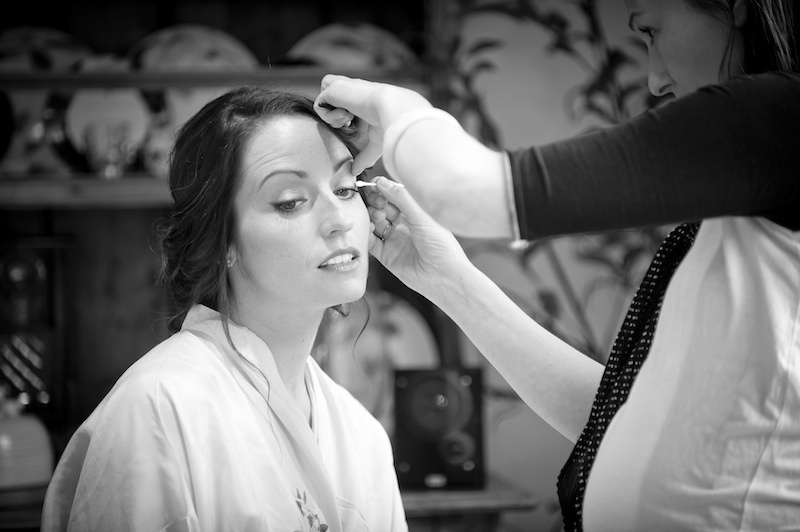 Charis and her bridesmaids were dressed to perfection by the amazing make up artist Lucy Baker and hairdresser Cassandra Rizzuto . 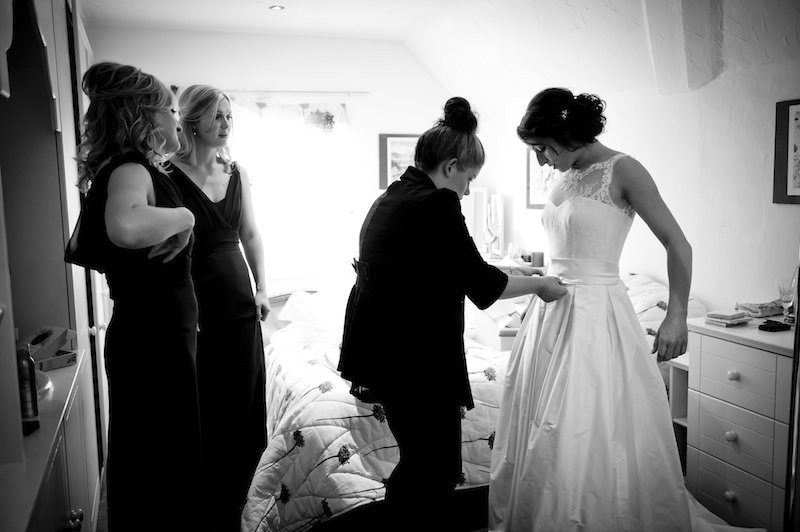 The bridesmaids all wore Jim Hjelm and Charis was a vision of beauty in Stephanie Allin’s Kelly dress. 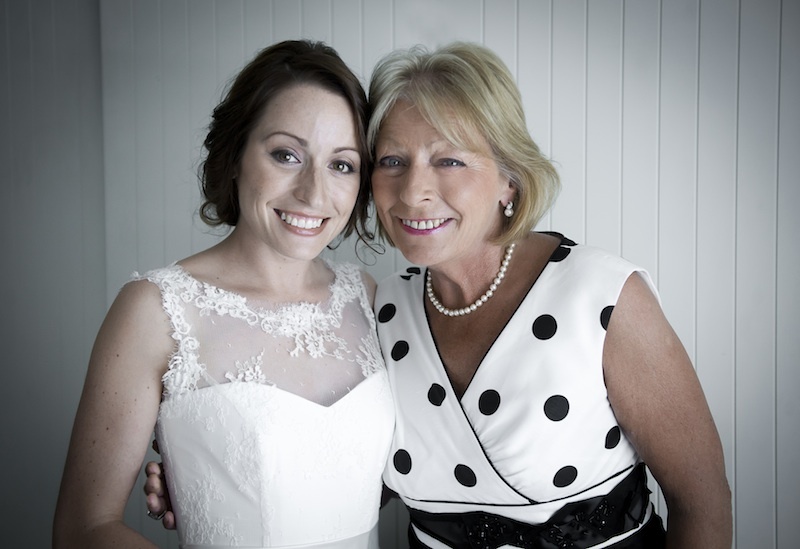 Charis has such a wonderful loving family and I love this picture of Charis and her mum who also looked simply fabulous on the big day. 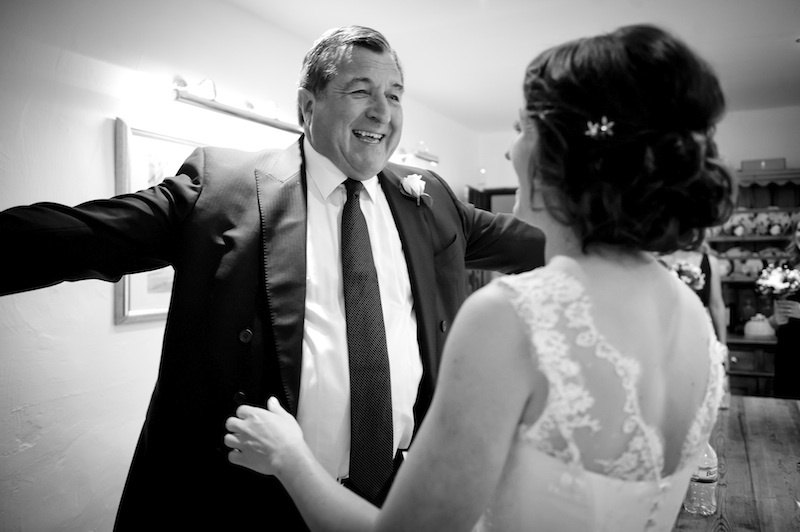 And here with Charis’s dad who was a larger than life character and certainly knew how to throw a party. 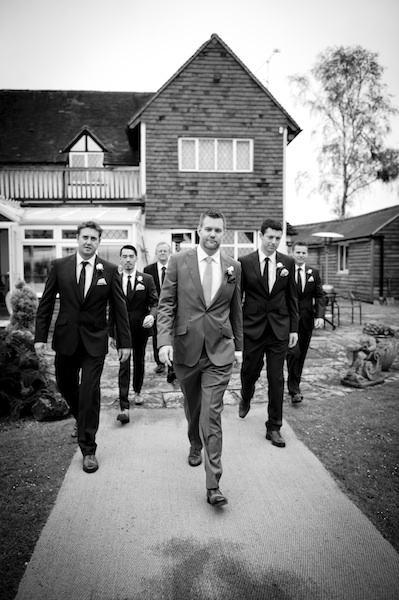 All of the photographs were captured by the talented Roger Brown and here is one of my favourites with all the boys arriving for the ceremony. 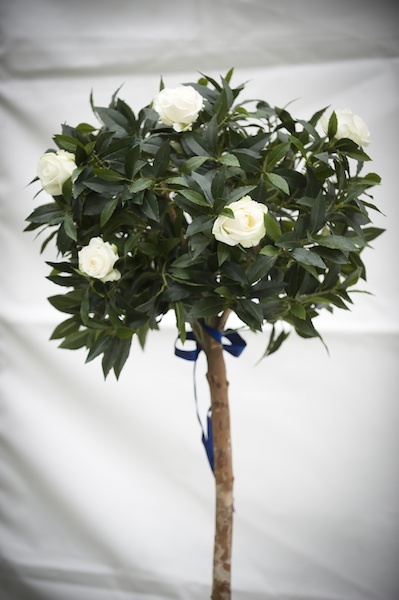 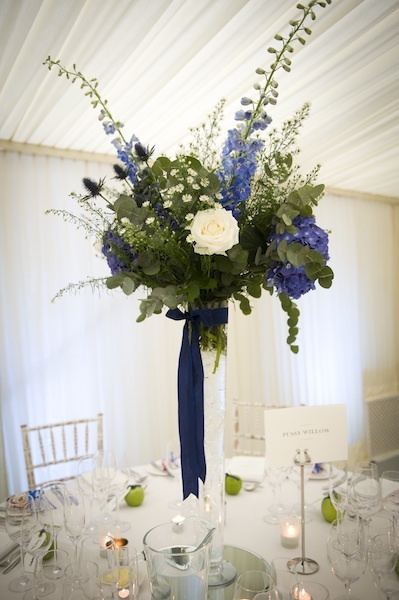 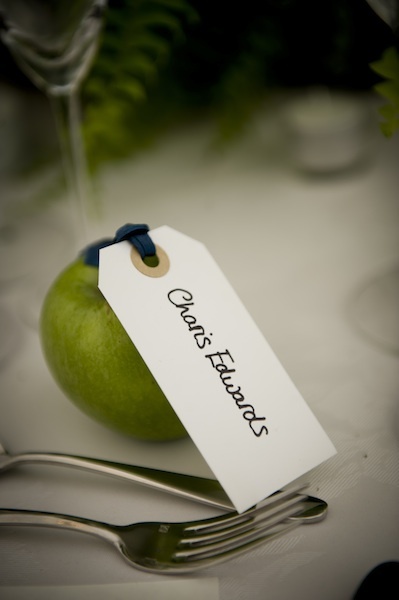 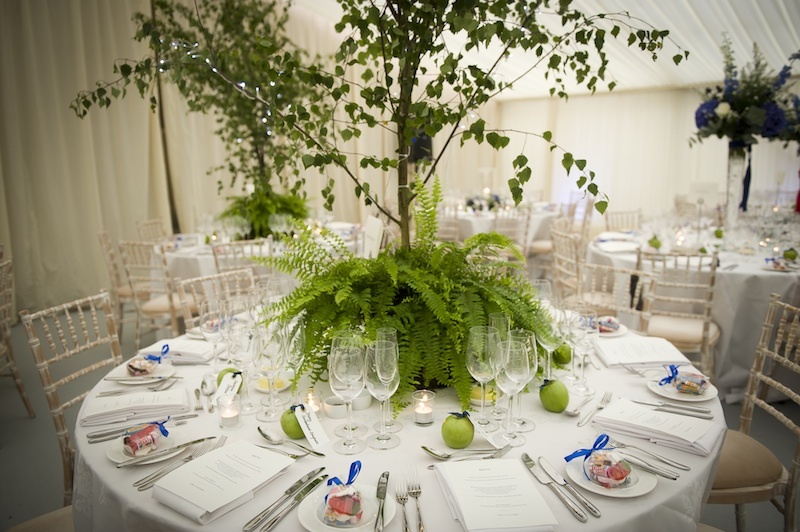 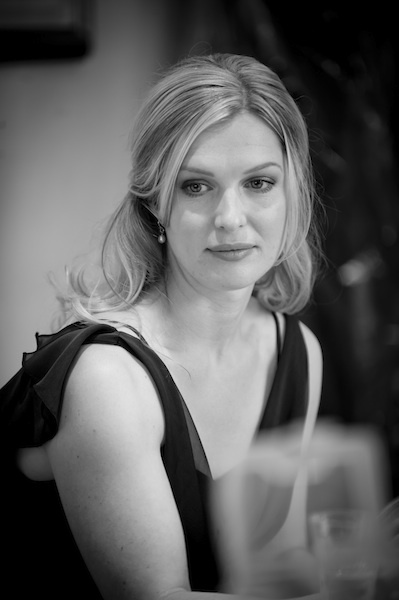 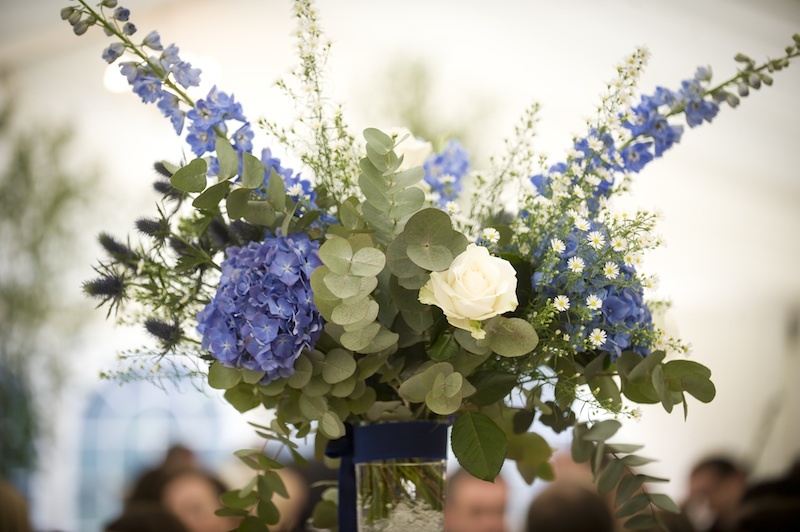 The inspiration for the interior of the marquee was the beautiful setting of the garden itself and with the use of trees and apples as name cards for the guests the design was created. 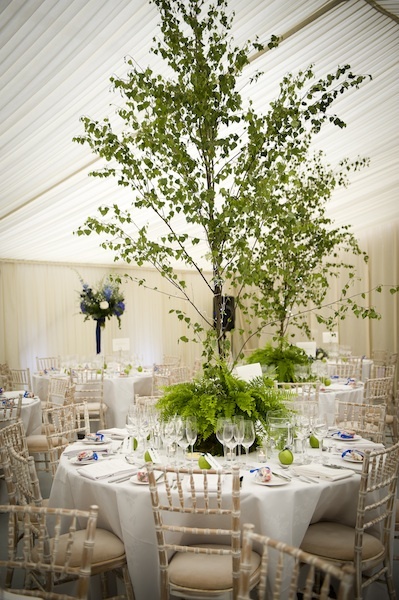 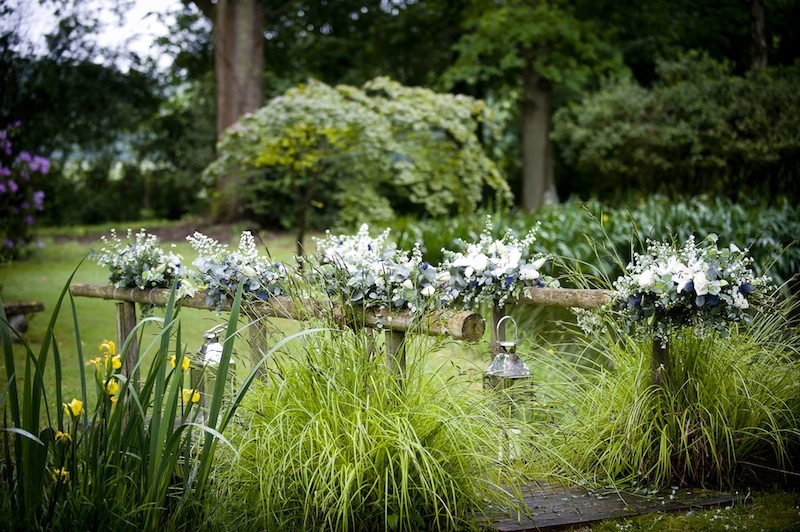 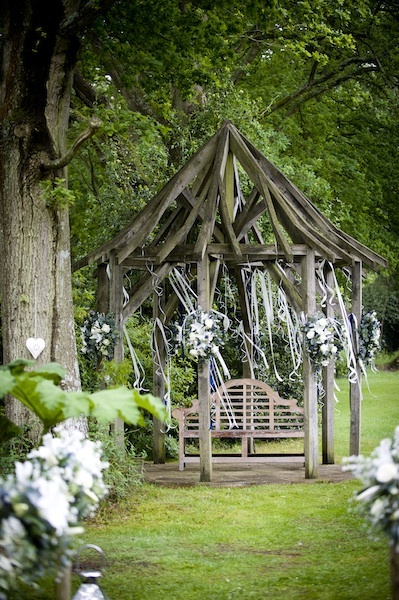 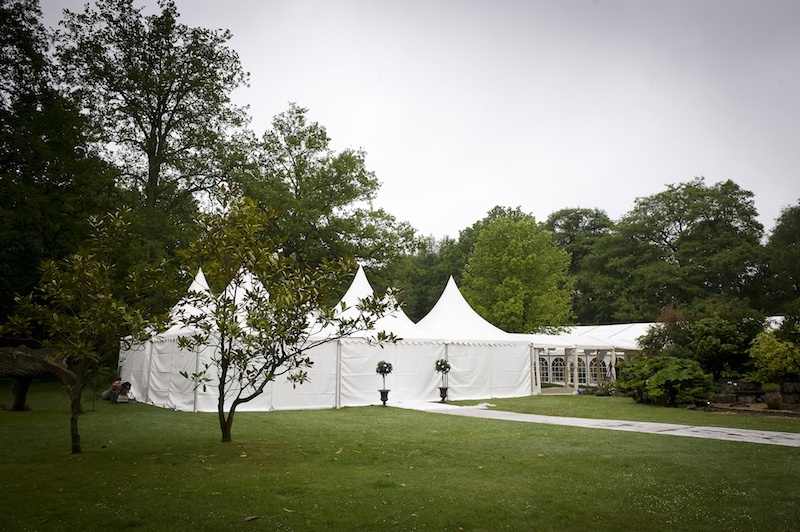 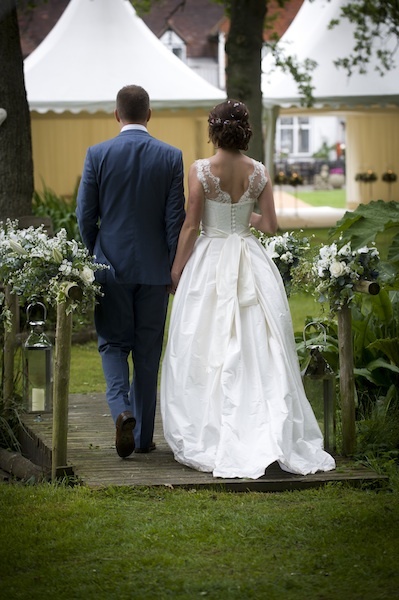 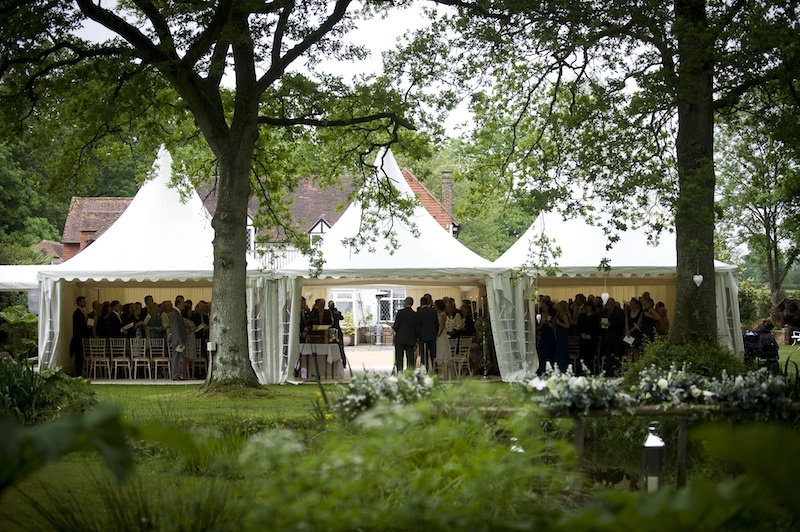 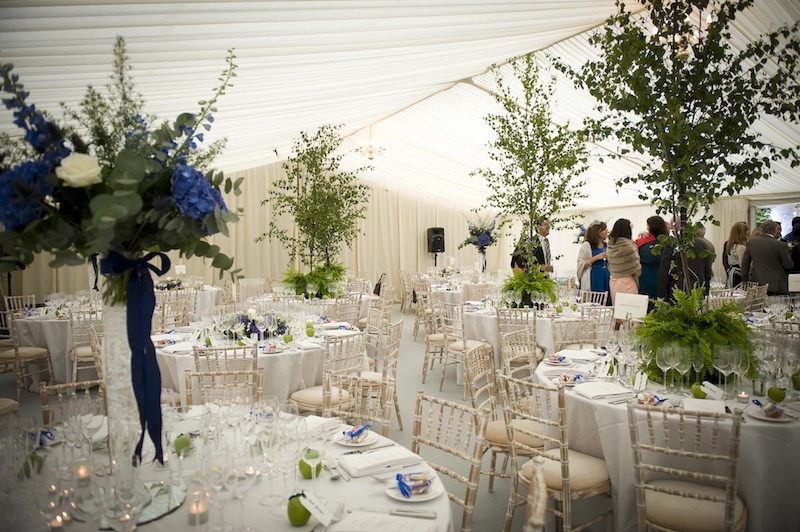 The main marquee look absolutely amazing with the height of the trees and the beautiful floral displays. 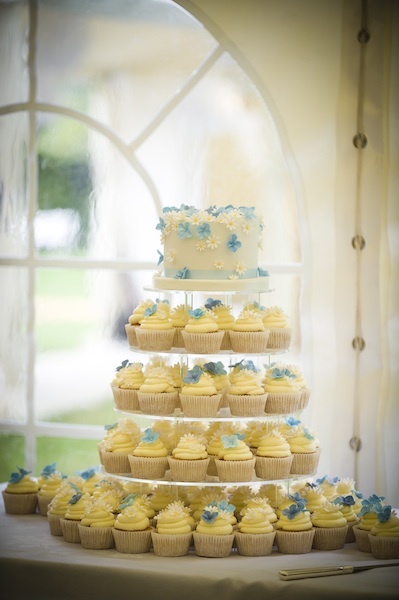 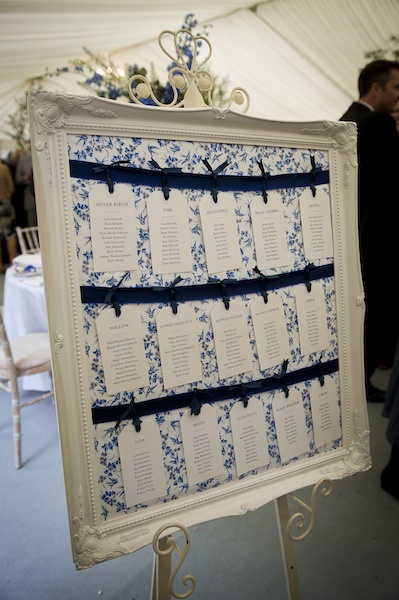 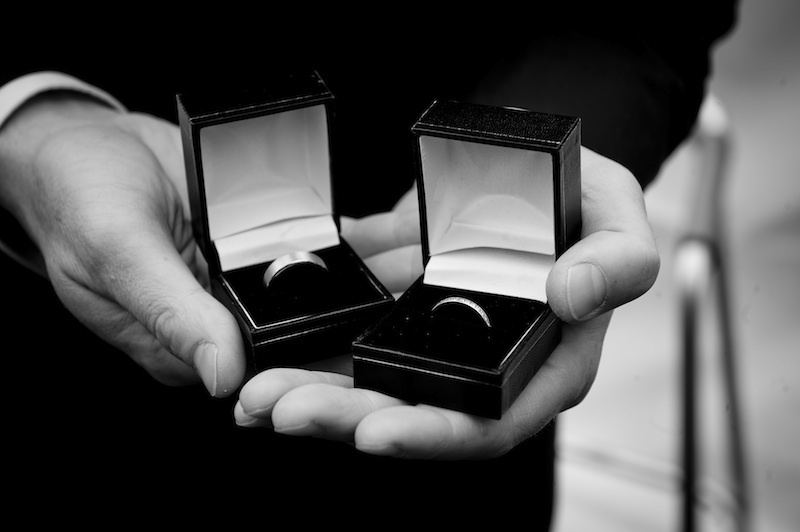 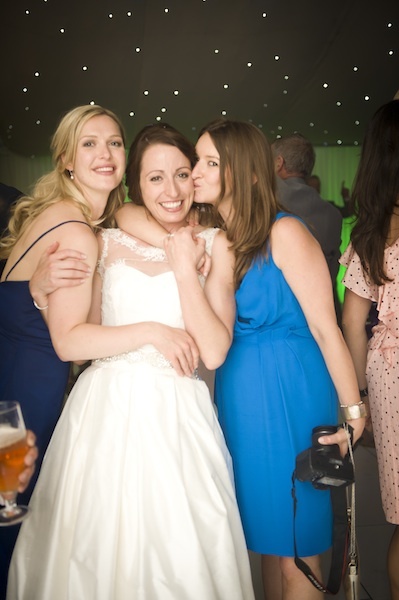 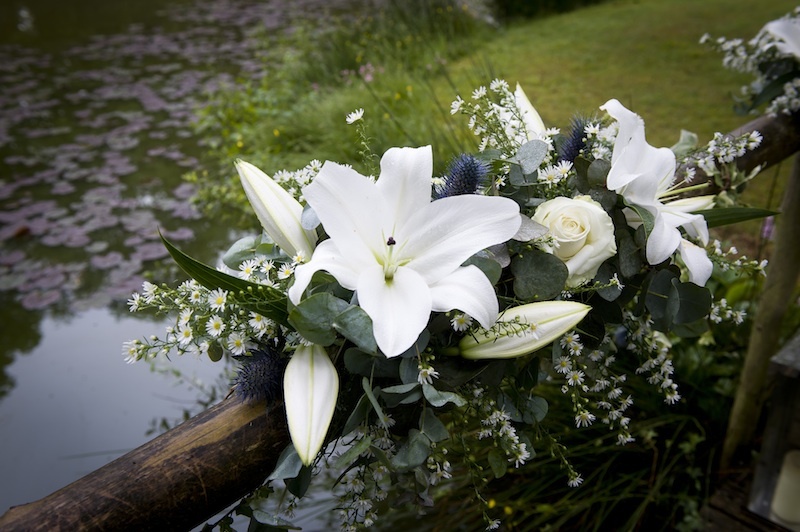 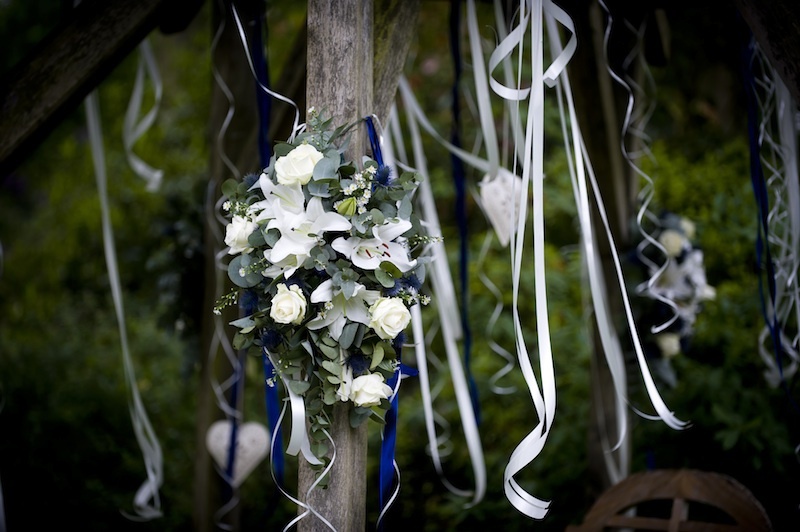 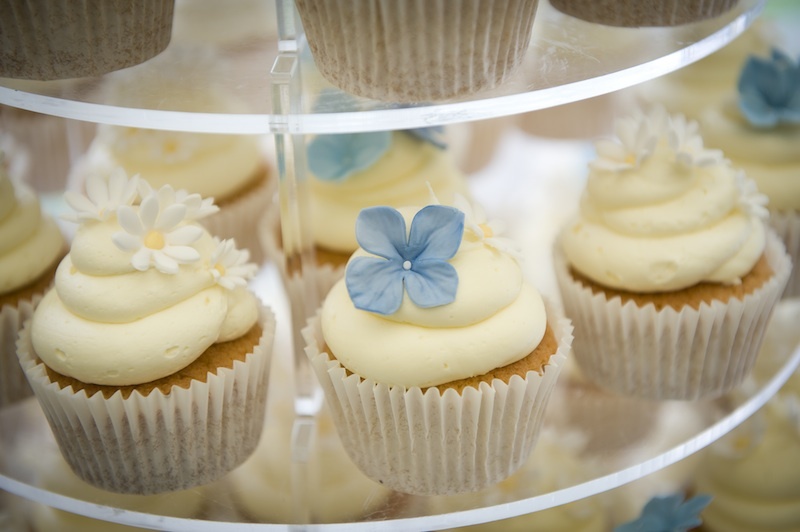 This was all pulled together with Charis’s choice of colour for her wedding which was blue. 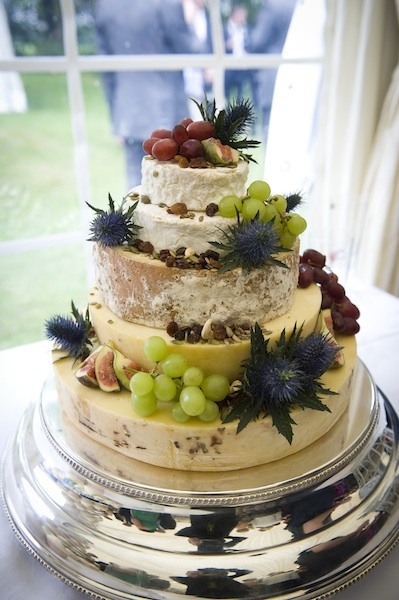 Charis and Luke were treated to a very tasty dinner from Kalm Kitchen and they also created this wonderful Cheese Cake for the couple. 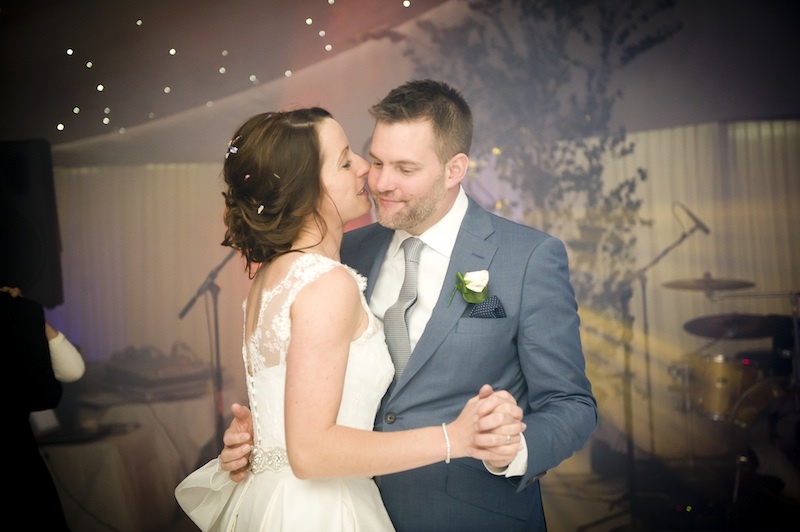 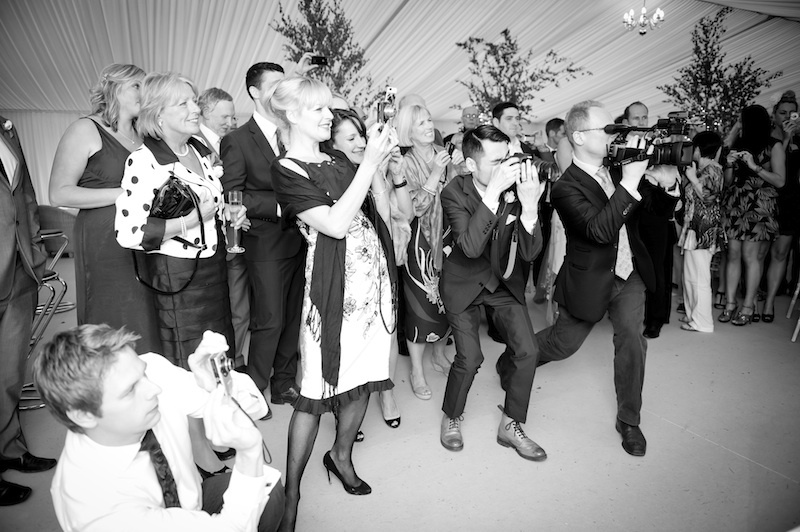 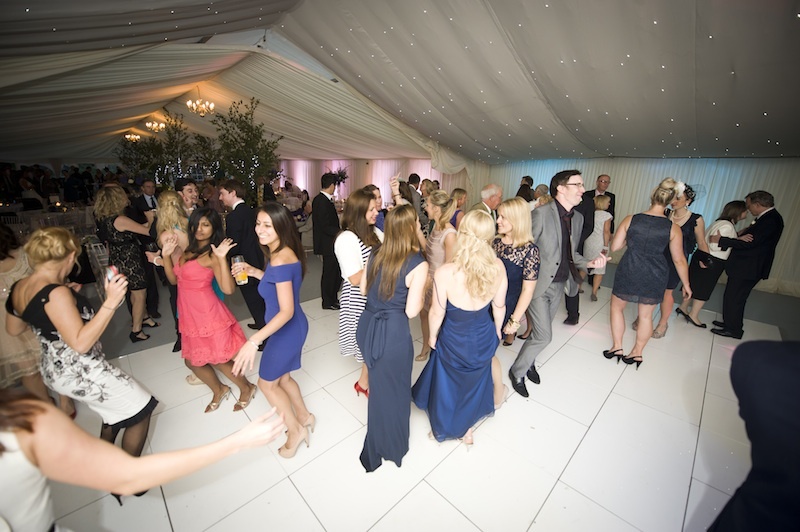 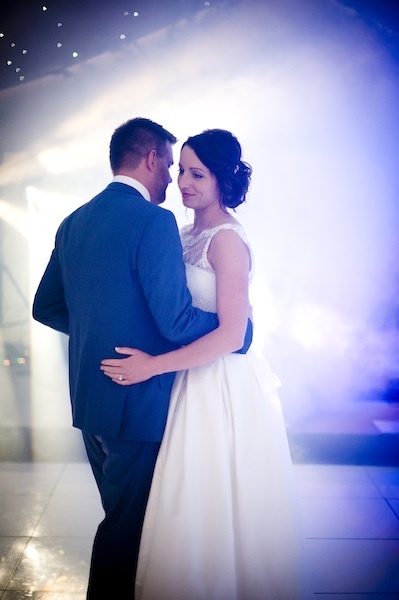 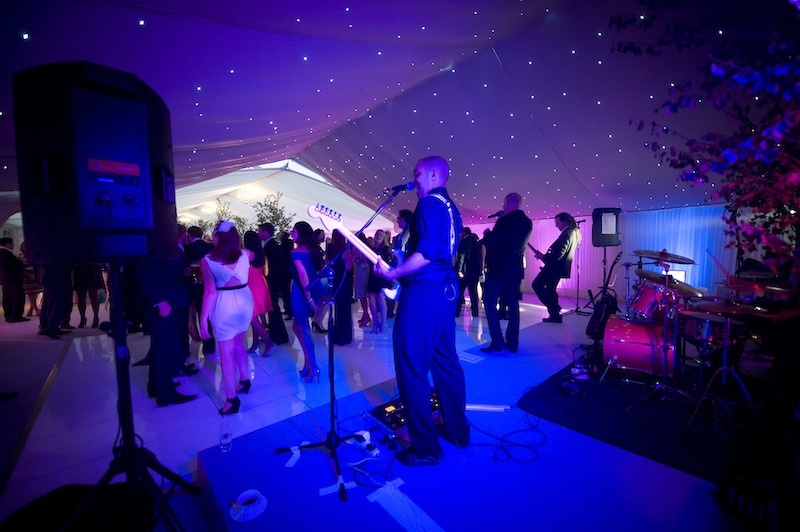 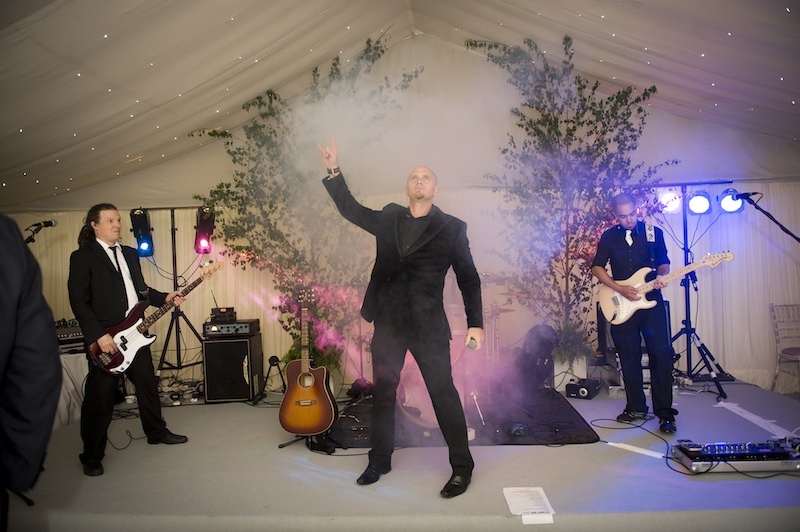 The night all ended fabulously when the reveal curtain was pulled back at the end of the marquee and much to the surprise of the guests Charis and Luke began their first dance with their amazing band who rocked the night away.